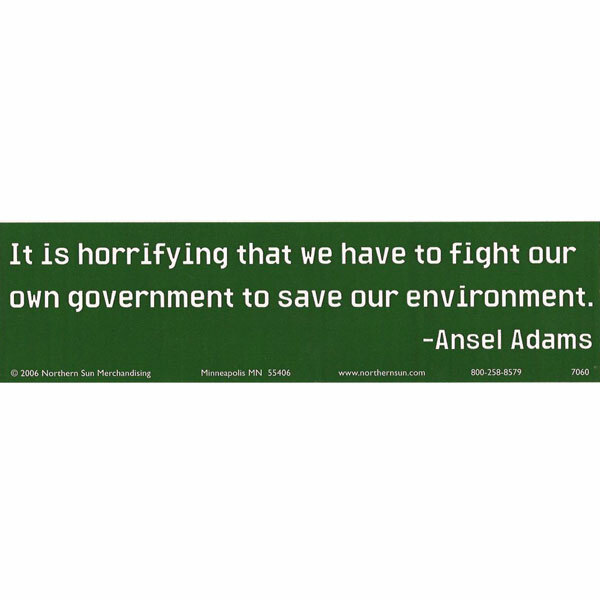 Ansel Adams quote. White on green glossy print. Q: Is this bumper sticker on plastic? A: Yes it is made out of vinyl.